How we speak of and to the world we live in requires us to make sense of where we are and where we?re going; it requires us to describe, interrogate and analyse our places from the smallest to the grandest of scales. In the second issue of Griffith Review, published fifteen years ago, Melissa Lucashenko wrote of ‘earthspeaking, talking about this place, my home?. All these years later, the need to hear all sorts of earthspeak has perhaps never been more urgent. 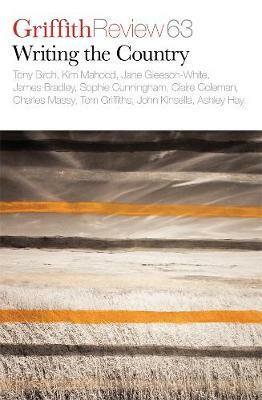 Co-edited by Julianne Schultz and Ashley Hay, Griffith Review 63- Writing the Country features contributions from writers including Tony Birch, Kim Mahood, Jane Gleeson-White and Charles Massy. This edition of Griffith Review is supported by The Nature Conservancy.